Is it true that, depending on where you live in the World, you might weigh a different amount? How and why does this happen? How much difference can you make? *Unless you are already at the min or max point, then you can only go the other way! The first thing to mention is that your mass is not changing; it is your weight that is. What is the difference? Well, mass is the amount of ‘stuff’ in your body (The technical term for this ‘stuff’ is ‘matter’). Weight is the force acting on your mass because of gravity. Mass is correctly measured in Kg (if you use the Metric system, which you should. Don’t hate, just embrace it). Weight is measured in Newtons (which is a measure of force). 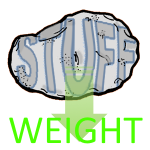 Confusingly, in common vernacular, the terms weight and mass are (incorrectly) used interchangeably. This pisses off physicists no end! My High School Physics teacher even used to hand out detentions to any student who incorrectly used the wrong term. Mass is also something called a scalar quantity. It has a magnitude, but no direction. Weight is a vector, it has both magnitude and direction. When someone is “weightless”, then are not “massless”; they are just not experiencing any unbalanced forces. Oh and (just in case my Physics teacher is reading this) astronauts having the time of their lives floating around in orbit are still exposed to gravity; there is still gravity in orbit. In fact, in low Earth orbit of a couple of hundred Km, the value of gravity is still approximately 90% of what is experienced on the surface of the planet. Astronauts feel weightless because they are constantly ‘falling’ around our planet (as is everything else around them), not because there is no gravity. You can experience weightlessness on Earth without needing to go into orbit; Just stand on a chair, and jump off! As you are accelerating towards the floor you will temporarily experience weightlessness. Want to experience a longer period of weightlessness? Jump off a table. A longer period? Find a tall diving board at a local swimming pool. Need more? Go sky diving! Interestingly, a couple of hundred years ago, this understanding of free-falling was exploited to make spherical shot (bullets) for guns much cheaper, faster, and more accurately than using molds. Tall chimney towers were constructed (called ‘Shot towers’) to manufacture lead shot. Molten lead was transported to the top of these towers and allowed to drip through copper sieves before free-falling down a tall vertical shaft. 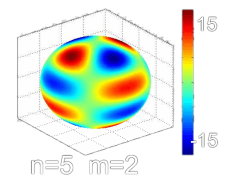 On the way down, surface tension would pull the lead spherical in shape, and give sufficient time for it to cool and solidify in this spherical shape before landing in a water bath at the bottom of the tower to consolidate this cooling. The process was patented by William Watts in the UK in 1782, who built the first shot tower in his back yard as an extension to his house! Though no longer used for the construction of shot, the concept is still in use today for scientific research. “Drop tubes” allow scientists to expose experiments to a couple of seconds of zero gravity by dropping their experiments down shafts. These drop tubes don’t just need to be towers! One of NASA’s facilities is a deep hole in the ground that allows things to fall 155 m (510 ft) down. (There is still air inside drop tubes, which provides a small resistive force; one of the biggest operating pains of these scientific towers is the process of evacuating the tubes of air to an acceptable level of vacuum, if needed, for a particular test). The image on the right is the Clifton Shot Tower in Melbourne, Australia. It was constructed in 1882 and is 80m tall (263 ft). Yes, shot towers look like tall chimneys! So, what is gravity? The short answer is that we don't know. The longer answer is that we don't know. [SHORT ANSWER] What we do know is that matter is attracted to other matter, and this attractive force is what we call gravity. From Newton, we learned that the more massive something is, the stronger the attractive force, and the closer another mass is, the stronger the force (in an inverse square way). We don't know what causes gravity. Sometimes you might hear people talk about 'gravity waves', or 'graviton' particles, but this is just speculation, and at the current time we simply don't understand enough. 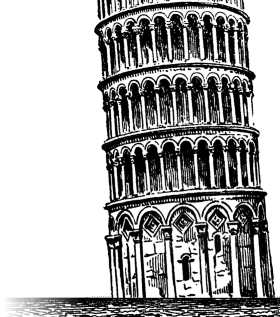 Going back to the concept of drop tower, Galileo might have used The Leaning Tower of Pisa as a rudimentary drop tower to show that objects accelerate at constant rate, irrespective of their mass. (I almost didn't want to mention special relativity because yes, at high relative velocities, mass changes, but since we're comparing two locations on the planet in the same frame of reference, we don't need to factor this in. We are moving along with the planet and so can work with the concept of rest mass. If you are whizzing past the planet at a good percentage of the speed of light, please ignore the rest of this article). Because your mass is not changing, if your weight is changing as you move to different places on the earth, then this has to be because of variations in gravity. 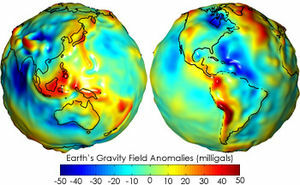 Gravity is a measure of the acceleration the Earth imparts on us. In Metric (SI), acceleration is typically measured in metres per second per second (metres per second squared). You can also think of it as Newtons per kg; how much force is needed to accelerate mass. As we will see later, it varies around the planet, but an average value is approximately 9.81 m/s2. Every Kg of mass experiences approx 9.81 Newtons of force because of the attraction of gravity. As mentioned in a previous article, our planet is not a perfect sphere. 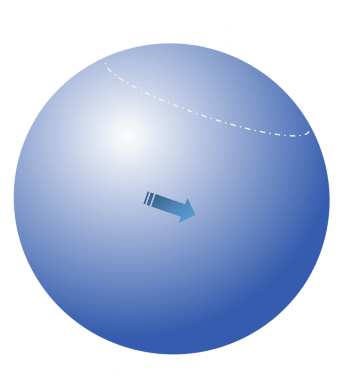 If the Earth were perfectly spherical, of uniform density, (and not spinning), then the gravitational force would be the same over the entire surface. However, millennia of spinning around has caused it to bulge around the middle. 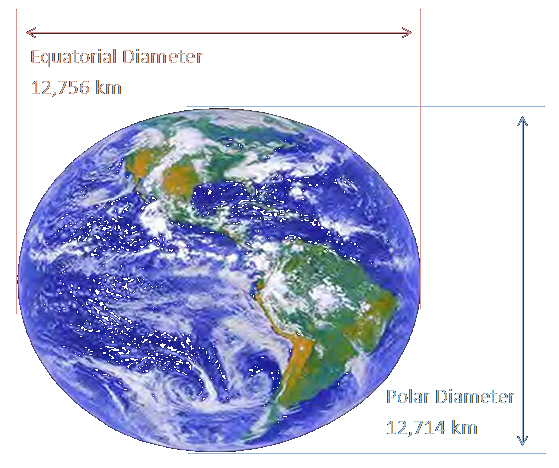 The diameter around the equator is larger than the diameter around the poles. This delta might be small, but it is very measurable. If you stand on the equator (or on the top of a mountain), you are further away from the centroid of the Earth. Gravity falls off with the inverse square of the distance between the centers of masses of the two objects in question. The further you are from the center of the earth, the lower the force of gravity. 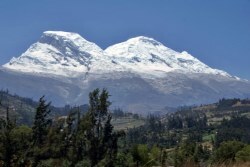 With altitude, the reduction in gravity can be as much as 0.3% at the top of really tall mountain. * Below the surface of the earth it's a little more complicated to caclulate because, yes, the majority of the earth (that still under your feet), still appears to be acting from the centroid, but there is now some 'above' you pulling you back the other way. There is a way to calculate this as a series of infinitely thin spherical shells and calculus. Oh, and the earth is not made of uniform density material (the core an mantle being much more dense than the crust). 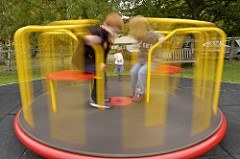 If you've even ridden on a roundabout at a children's playground you know that, as it spins, you have to hold yourself on. The faster it spins, the more you have to hold on. This force you have to hold on with is called a centripetal force (the equal and opposite reaction force you feel pushing you out is called the centrifugal force). If you don't hold on you'll fly off from the roundabout at a tangent (not outwards). In accordance with Newton's First Law, if you let go, as you are no longer being acted upon by an exterior force, you will carry on in a straight line at constant speed. The earth is spinning and, depending on your latitude, you spin at a certain radius. When you are at the equator you are spinning in a large radius circle. Near to the poles, very small. The force required to pull you around in these circular arcs reduces, slightly, the gravitational force. This reduction is greatest at the equator, where the radius is the largest, is zero at the poles, and varies in between these extremes based on latitude. At the equator, the reduction results in a approx 0.3% decrease in weight. The rotational reduction of gravity at the equator compounds the reduction because of the oblatness, giving a double boost to the reduction experienced there. Moving higher up a mountain reduces gravity because you are further away from the center of the earth, but it's not all roses. As you move higher, the air in the atmosphere gets thinner. Because it is thinner, there is less buoyancy effect. The makes you weigh a little more. The Earth is not homogeneous. Local variations in topography (such as the presence of mountains) and geology (such as the density of the different kinds of rocks) cause small fluctuations in the Earth's gravitational field. Flying over mountains puts you slightly closer to these gravity producing lumps of rock than flying over water, as mentioned above. The gravity effect of the Sun and Moon pull of the seas and oceans around and this makes our tides. These celestial bodies make incredibly small changes in the value of g as they pass over. The cities with the lowest and highest respective values of g are Kuala Lumpar (9.766 ms-2), and Oslo (9.825 ms-2). If you want to 'lose weight', and live in Oslo, you could move to Kuala Lumpar. If you weighed 100 Kg (Sorry Mr Senior, my old science teacher, please don't put me in detention! What I meant was, if you were on a set of scales that measured your weight as 981 Newtons), when you left, you'd weigh 99.4 Kg 975 Newtons when you arrived; a loss of nearly 6 Newtons. If you really wanted to 'lose weight', however, you should move to the Moon. 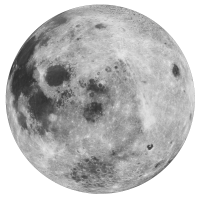 The gravitational field on the moon is 0.1655g, one sixth of that on the Earth. You'd weigh just 16.55 Kg 162.4 Newtons there!